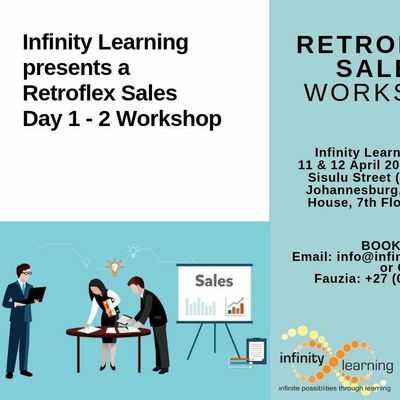 Retroflex Sales WorkshopLearn “The Art of the Backward Sale!”AboutThe skills of the backwards sale. 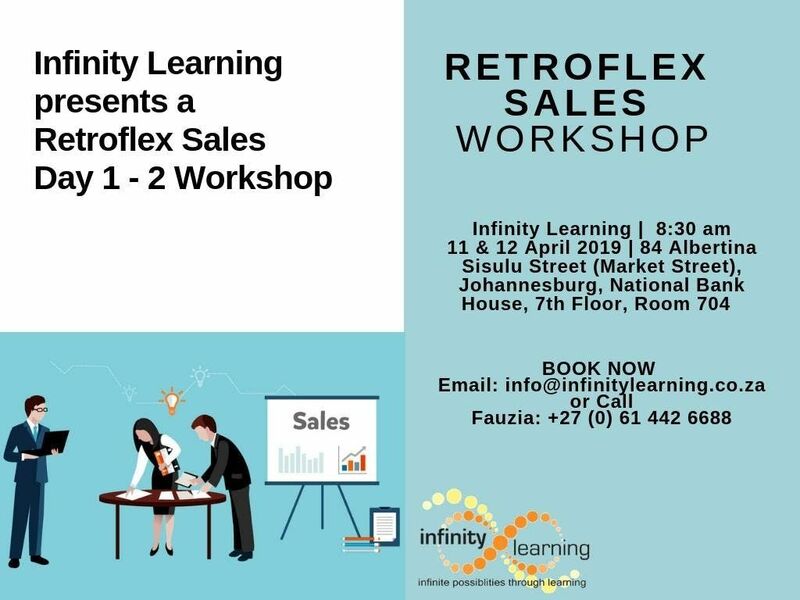 Far too often we want client to buy what we are selling instead of selling what the client wants to buy.In this workshop we share the skills needed to turn what your client ‘wants to buy’ into ‘what you are selling’.Benefits:Increase sales prospects (Effective Targeting).Pro-active Objection Handling (Cut your Sales Cycle Time Down by 33%).Writing a Winning Quote (The type of Quote that seals the deal).Learn the Top 15 Closing Techniques (How to close from the 1st Call).Developed by Tebogo MosianeNeopro (Pty) LtdSolutions ArchitectBOOK NOW BY EMAIL TO FAUZIA AT aW5mbyB8IGluZmluaXR5bGVhcm5pbmcgISBjbyAhIHph WITH YOUR NAME, SURNAME AND NUMBER. Or feel free to call us on 0614426688. DO YOU REALLY WANT TO JOIN POWERFUL OCCULT GROUP FOR FIANANCIAL BREAKTHROUGH,WEALTH,RICHES,/FAME? The BIG Lenasia Comedy Show!